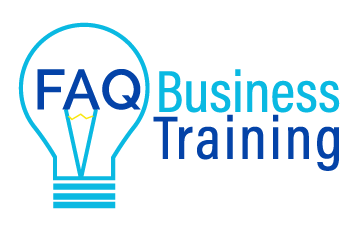 Welcome to FAQ Business Training, a registered business of FAQ Business Pty Ltd.
FAQ Business Training exists to educate and empower small business owners to learn to do it yourself (DIY), or outsource with confidence. We provide topical training sessions delivered online, or in person in Western Sydney and Sydney, Australia (and potentially beyond). FAQ Business Training’s founder Jane Tweedy has worked with many small business owners one on one thanks to her role as a Business Connect Advisor with the Western Sydney Business Centre. These sessions are NSW Government funded and have allowed Jane great insight into the challenges faced by small business owners. It turns out many small business owners get ripped off or taken advantage of, because of the many things they don’t know, they don’t know. Jane wanted to educate and therefore empower these business owners to avoid getting ripped off first and foremost, but in addition to learn valuable business skills to be utilised in their business. FAQ Business Training commenced training workshops in Western Sydney in 2017, to build up a database of course material. Since then our founder Jane has presented at numerous events including business skills workshops, networking groups and conferences (including NRMA Driving Instructors NSW, Copycon 2018 (the only copywriting conference in Australia), WordCamp Sydney 2018 (the WordPress user community conference)) and a panel on a budget release with Xero. In the near future we will launch our online training courses. These will form the core offering of the business and allow our clients to get educated and empowered. Eventually our vision is to be a leading small business resource because of our accurate, authentic training in a myriad of business topics. The training will be accompanied by resources to enable implementation. This business exists to serve small business owners. Without you, our business fails in it’s purpose. Therefore we would appreciate feedback and suggestions on what you’d like to see from us. Read more about FAQ Business Training here.